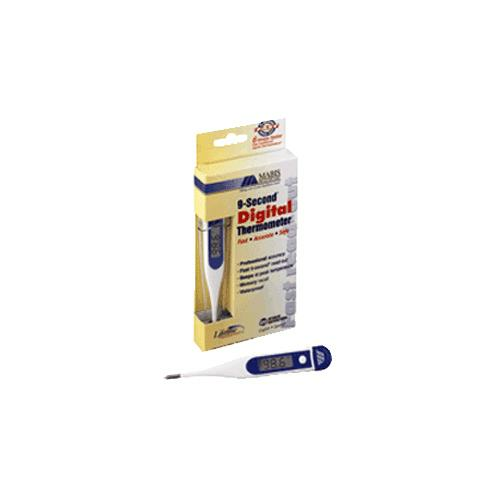 Mabis DMI 9-Second Rigid Tip Digital Fahrenheit Thermometer displays temperature measurements in as fast as nine seconds. 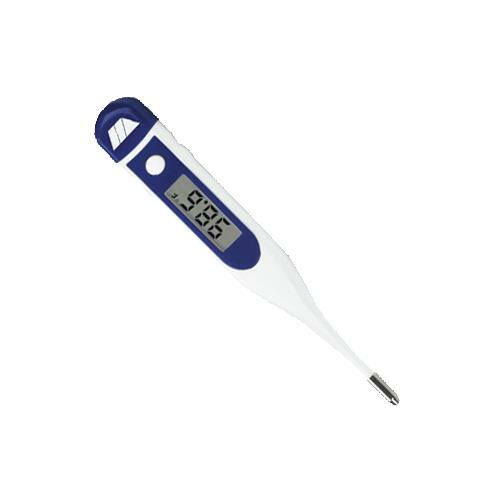 It features memory recall of last reading, large easy-to-read display, auto shut-off and peak temperature tone. The waterproof feature allows for easy cleaning.